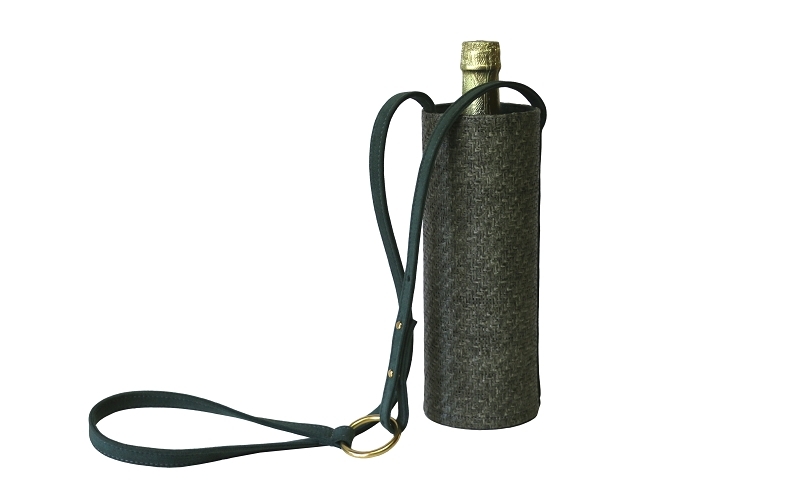 Our new water bottle (and wine) bag in Moss Raffia. 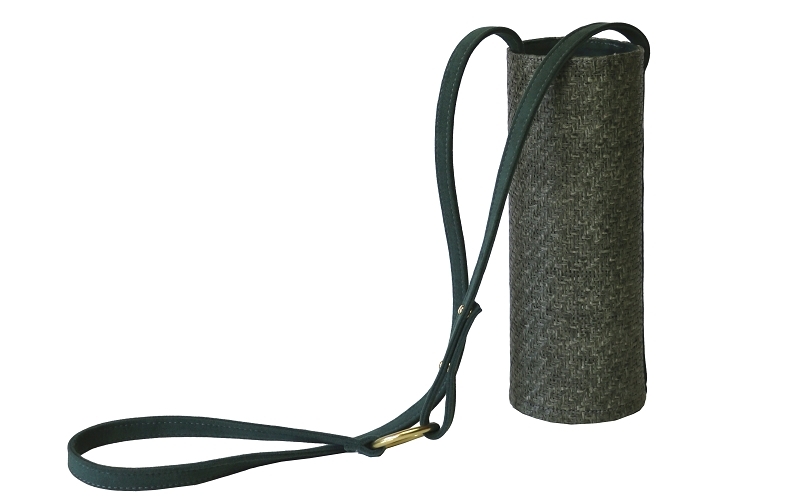 Perfect for hiking, yoga, and all around exploring, our new water bottle holder is large enough to fit a full wine bottle or 25oz Swell Bottle. With glimmering gold hardware, our bottle holder is lined with an interior of soft, luxurious eco-suede (made from recycled plastic bottles) and organic cotton. 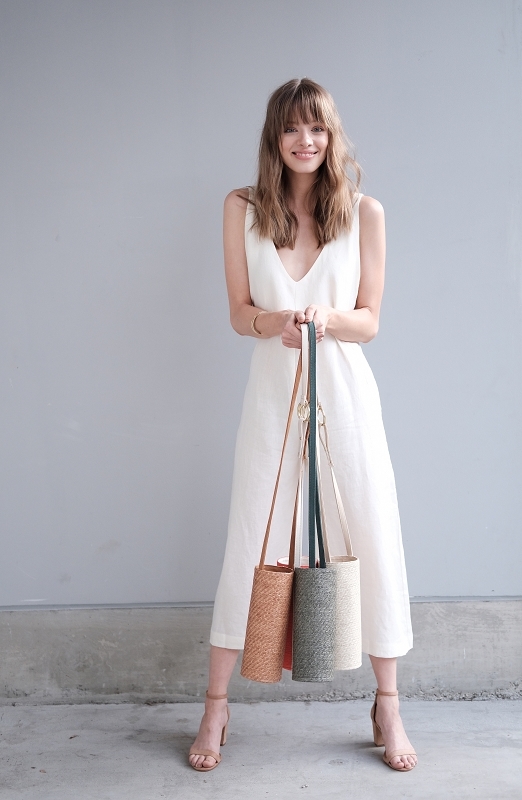 Handcrafted locally and sustainably in Los Angeles. When not carrying a bottle, can also double as a cylinder bag for everyday items too. Beautifully made. Super functional. Makes carrying around a water bottle very chic! Plus, I get compliments on it all the time. Q: Hi, Will this fit my water bottle that is 2.6 wide and x 8.9 inches tall? Thank you. A: Yes, this will hold a water bottle as large as 3" wide and over 10" tall. : ) It fits a tall Swell just swell.